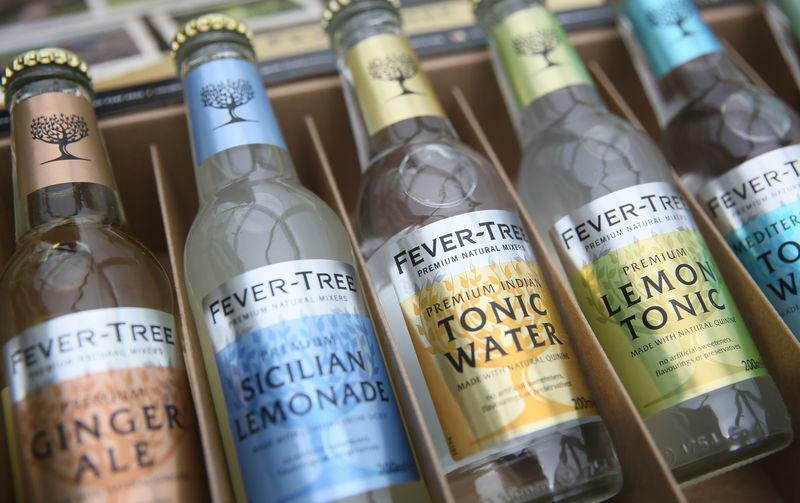 (Reuters) - Premium tonic water maker Fevertree Drinks Plc on Tuesday reported a 34 percent jump in annual adjusted core earnings, as Britons' gin thirst grew and supported demand for the company's mixers. The company has also been pushing into the United States and had recently launched a variety of new ginger ale that mixes with alcohol like whisky, rum and brandy in a market that predominantly consumes dark spirits. Adjusted earnings before interest, tax, depreciation and amortisation rose to 78.6 million pounds in the year ended Dec.31 from 58.7 million pounds a year earlier. Revenue rose 40 percent to 237.4 million pounds.